Hollis Johnson/Business InsiderBest Buy CEO Hubert Joly. 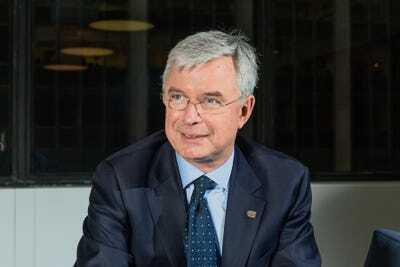 Best BuyCEO Hubert Joly has five criteria to determine whether someone has leadership potential. He calls them the five “be”s of leadership. The “be”s involve points on purpose, clarity, service, values, and authenticity. Joly has lead Best Buy’s turnaround effort over the last five years, with impressive results. 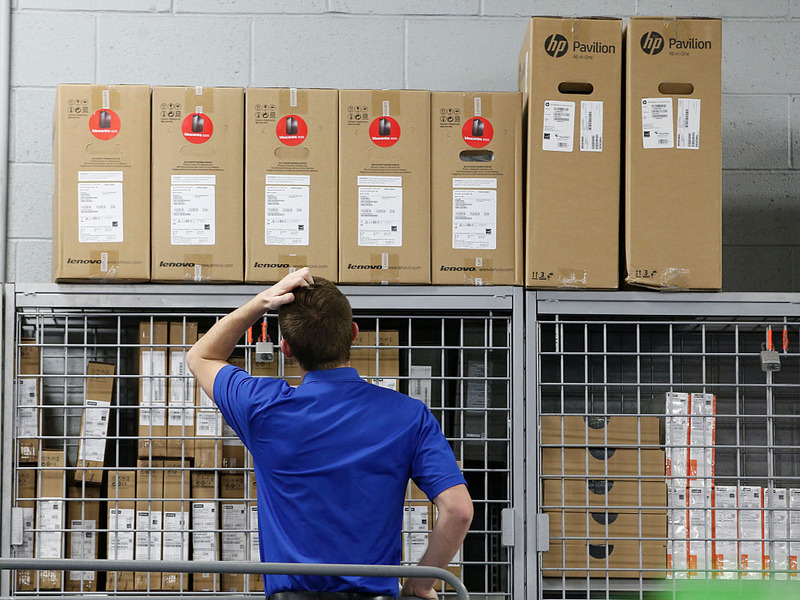 Best Buy’s CEO has five criteria to determine whether someone is a leader. 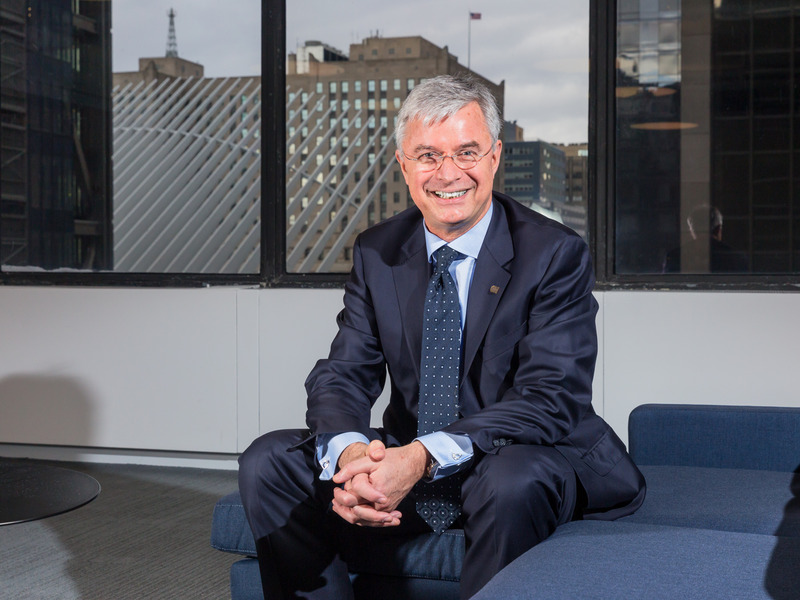 Joly has led Best Buy’s turnaround efforts since taking on the role of CEO in 2012. By all accounts, his work has paid off, with the company’s share price increasing 271% over the past five years. Best Buy reported that comparable sales grew 5.6% in fiscal 2018. According to Joly, reducing turnover and promoting internal leadership in the Best Buy workforce has been a major part of the company’s recent success. As Best Buy develops its leaders, here are the “be”s that Joly says every leader needs to meet. 1. Be a purposeful leader. George Frey/GettyAn employee checks computer inventory that’s part of a Black Friday sale at a Best Buy on November 24, 2016, in Orem, Utah. “Be clear about your purpose in life, what drives you, and make sure it’s connected with the purpose of the company,” he said. If you’re driven by making money or career advancement, that’s fine for some roles. But, many people want a deeper purpose in their career. You need to make sure that your purpose lines up with that of where you work. 2. Be clear about your role as a leader. Most companies need a leader who is willing to help others succeed – even if it doesn’t immediately benefit the leader. 3. Be clear about who you’re serving. A good leader is focused on serving the customers, not the boss, Joly believes. “If you believe you’re serving the servants, meaning people on the front line, and your role is to help them be successful, then you’ve got it,” he said. 4. Be a values-driven leader. “Integrity is really important,” Joly said. Joly admits that some of his criteria can sound like “propaganda.” However, he says that proof is in the results. As a result of an emphasis on ethical, values-driven leadership, turnover at Best Buy has significantly decreased over the last five years. “These numbers with turnover and employee satisfaction, really, would not happen if we’re just going to tell people, ‘Be happy,'” Joly said. 5. Be an authentic leader. Joly’s final leadership criteria is being yourself. Instead, people should strive to be the their full, authentic selves at all times.